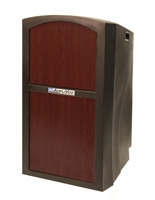 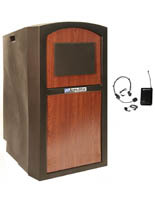 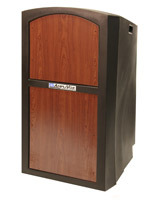 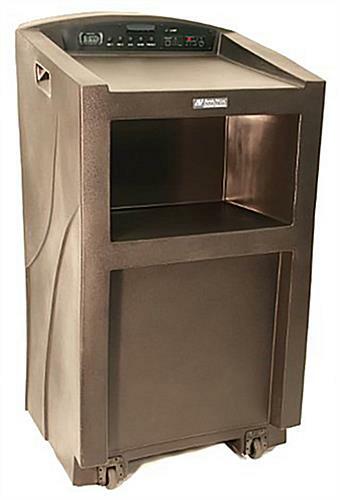 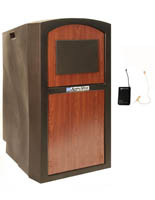 This sound system lectern is built perfect for any conference room, banquet hall or school theatre. 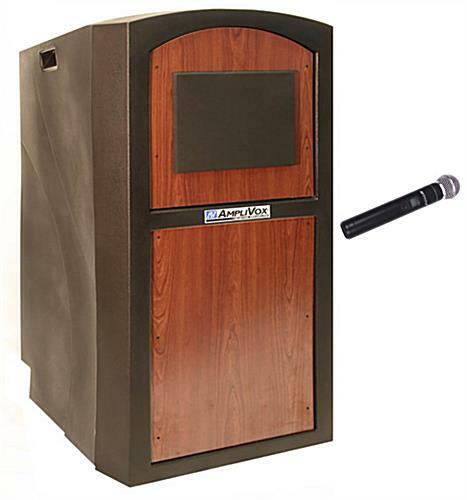 Included in the package is a wireless handheld microphone allowing you to better involve your audience when delivering your presentation. 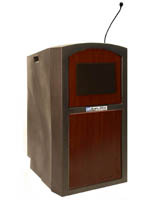 This lightweight, portable lectern is not only built perfect for any indoor event but the weatherproof durable plastic shell is made to withstand any condition. 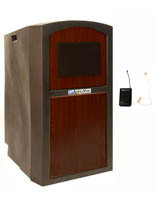 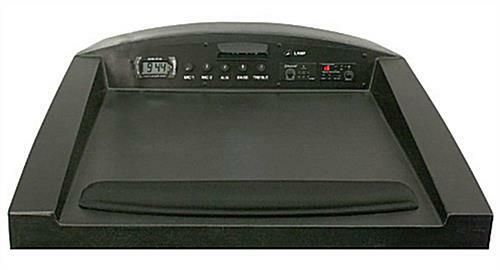 The wireless microphone is connected to a 150 watt stereo amplifier that emits noise through the two built-in 6” x 8” oval speakers. 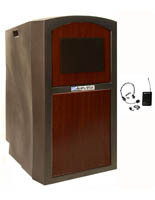 Also included are two external speaker jacks, UHF 16 channel receiver and Bluetooth® capability. 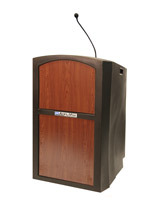 But with all of these features don’t be wary of the potential weight of this lectern, weighing only 63 pounds the portable podium has 2 heavy duty industrial casters with built-in handles for easy maneuverability.